Petra Diamonds (“Petra”) is a leading independent diamond mining group and an increasingly important supplier of rough diamonds to the international market. 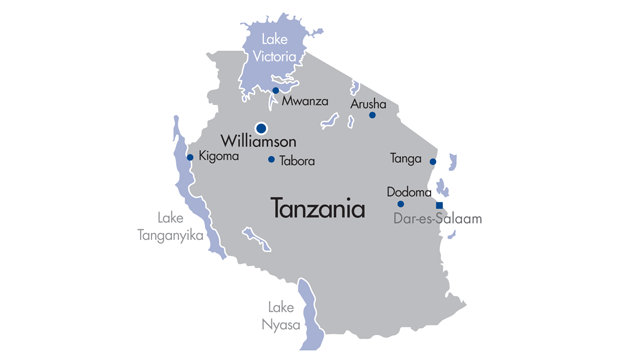 The Company offers a unique growth profile within the diamond sector, with a core objective to double annual production from just over one million carats in the year to June 2010 to over two million carats by FY2013 and more than treble production to over three million carats by FY2017. Beyond this target, the Group’s major resource base of 262 million carats provides scope for further organic growth going forward. 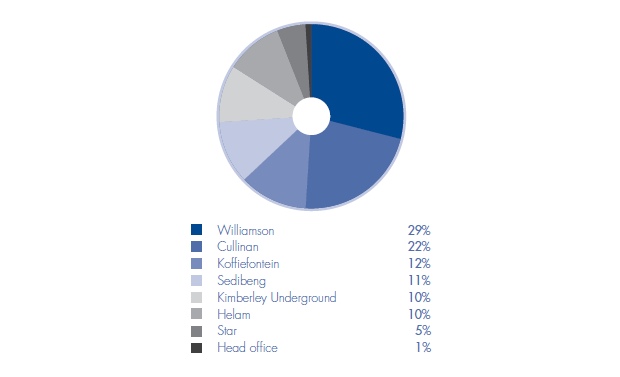 Petra has a well-diversified portfolio, with controlling interests in seven producing mines: six in South Africa (Cullinan, Koffiefontein, Kimberley Underground, Helam, Sedibeng and Star) and one in Tanzania (Williamson). Petra is also operating an exploration programme in Botswana. The team has managed producing diamond mines for the last 20 years and has developed an enviable track record in terms of delivering superior results from their asset base. Petra conducts all its operations according to the highest ethical standards, and will only work in countries which are members of the Kimberley Process. The Company is quoted on the AIM market of the London Stock Exchange (AIM: PDL). 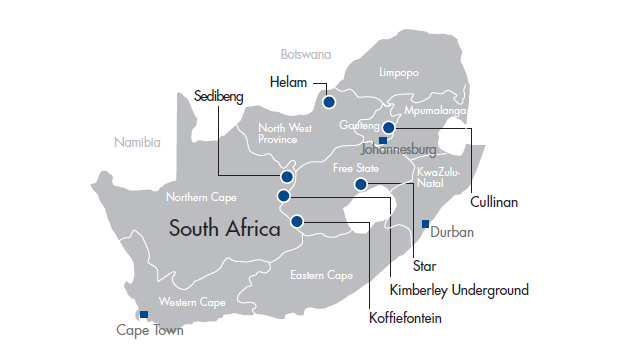 The Group has corporate offices in Jersey, London and Johannesburg.